From delicate rose gold jewellery to artisanal soap, we’ve got your covered for all budgets and tastes this Valentine’s Day. 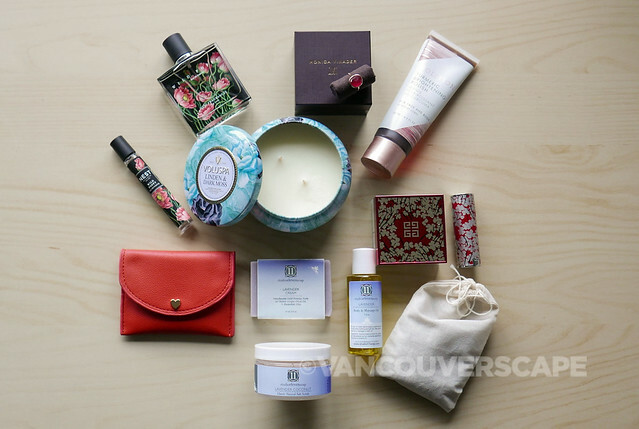 We shopped online and at a few local stores and boutiques to curate a variety of goods to surprise your sweetheart with. 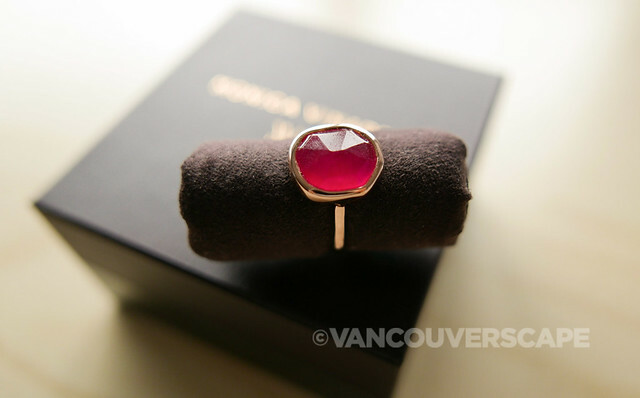 We love this delicate Monica Vinader Siren Stacking Ring (shown in rose gold in medium with Pink Quartz). The rings come in yellow gold and silver too, with varying sized stones (small, medium, large). There’s a range of stones in the collection to further customize your ring; stacking with another ring or two in varying stone sizes creates a gorgeous look for mixing and matching with your wardrobe. The medium ring retails in silver for CAD $195 and in yellow and rose gold for CAD $210. They each come packaged in a beautiful brown Monica Vinader jewel box with gold-toned bag and ribbons, ready for gifting. Find Monica Vinader online and at Nordstroms Canada. Other sizes priced accordingly. Voluspa’s Linden & Dark Moss 2-wick candle contains notes of aromatic linden branch and leaf, combined with water moss. 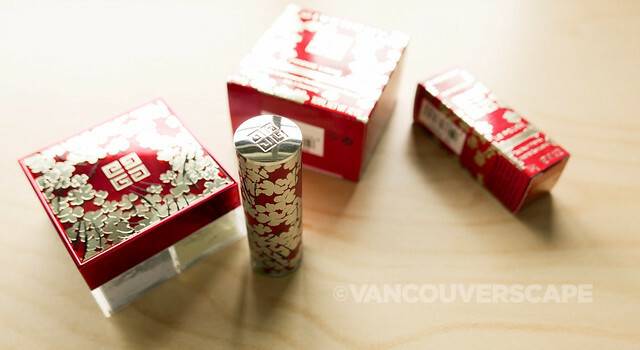 We love Voluspa’s decorative tins that fits tightly to keep the scent in (and to keep the wax dust free between uses). Linden & Dark Moss is part of the brand’s Maison Metallo series, using ecologically-sound, pesticide-free manufacturing with 100% cotton wicks. All their coconut wax-blended candles are hand poured in the US and are phthalates, parabens and sulfate free. The burn time on this two-wick baby is about 50 hours. Voluspa’s scented candles are available at Chapters, The Cross Decor & Design in Yaletown and at gift shops across North America. Linden & Dark Moss is currently on sale online for USD $11.50 (from $16, a great value considering its size and burn time). 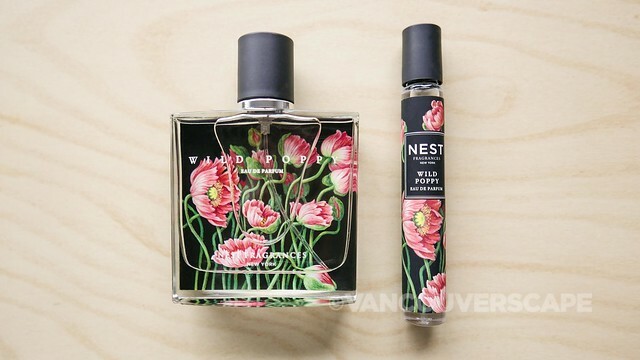 On February 1, NEST Fragrances will release its latest fragrance in their collection, Wild Poppy Eau de Parfum. This lovely new scent contains a blend of pear, raspberry and apricot aromas, infused with hints of Himalayan jasmine and Rose de Grasse, a light and beautiful combination that’s available in both spray and rollerball formats. Both products are decorated with a beautiful poppy motif and a black background. The 8 ml (0.27 oz.) Eau de Parfum Rollerball (CAD $36) is ideal for travel. Wild Poppy’s 50 ml (1.7 oz.) spray bottle retails for CAD USD $74/CAD $98 at Sephora stores and online. Givenchy celebrates the Lunar New Year with a must-have limited edition of its iconic loose setting powder, Prisme Libre. It’s adorned with a pattern straight out of Clare Waight Keller’s first runway show, restyled in symbolic Lunar New Year deep red and gold tones. Bestselling Shade Nº 1 Mousseline Pastel is a universal, transparent, colour-correcting combination of four powders suitable for all skin tones. Keep this couture cap to use on all your Givenchy Prisme Libre Loose Setting Powders. 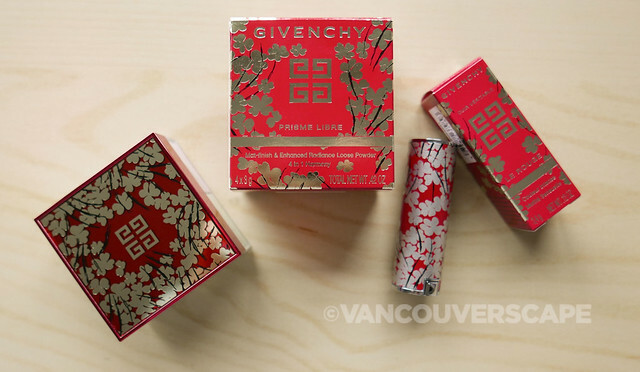 Complete the look with Givenchy Le Rouge Nº325 Rouge Fetiche, Chinese New Year Edition, a limited-edition collector’s version of their coveted lipstick shade. To ring in the Year of the Pig, Givenchy dressed the signature case of Le Rouge in a vibrant red adorned with a beautiful white-gold floral pattern similar to the Prisme Libre. Prisme Libre retails for CAD $70; Le Rouge Nº325 for CAD $47; both products are available at Sephora and Holt Renfrew stores across North America. Behind every Volition Beauty product is a real person with a real story. Founded by two cosmetics executives, Brandy Hoffman and Patricia Santos, Volition Beauty is an online beauty platform that engages a community of consumers to co-create the brand’s portfolio of beauty products. They seek suggestions for products from consumers and behind-the-scenes cosmetics creators and, after vetting the suggestions for feasibility, quality and safety, let consumers vote on whether the product should be made. They work with the top labs in the industry, including a global network of chemists with vast experience in formulating luxury products. Volition Beauty’s Turmeric Brightening Polish is a creation from avid traveller Anuradha, who partnered with the brand to produce her unique product, a cutting edge polishing scrub powered by tumeric! Tumeric is known for its amazing health benefits when ingested but it also has great effects on the skin, promoting softer, smoother skin on both face and body. 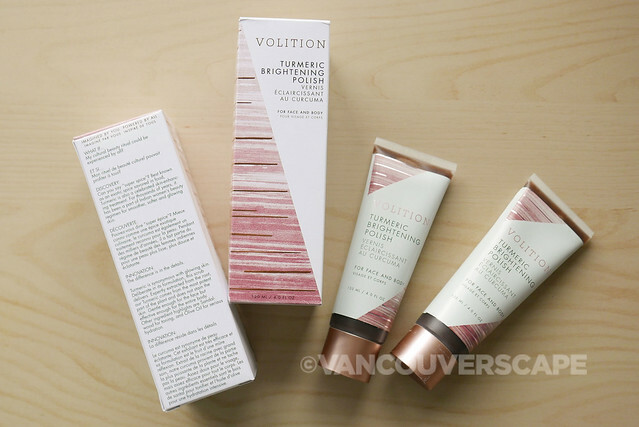 Volition Beauty currently has seven products available online at Sephora.ca, three of which are available (including the Tumeric Brightening Polish) in all Sephora stores. Phoenix, Arizona-based Studio 11 Soap believes in high quality ingredients and uses botanical oils in their line of artisanal soaps. Founder Kari Snodgrass has been creating beauty products since high school and now sells at both the Phoenix Public Market and online. We discovered their Lavender Cream Cold Process Soap from a gift bag received at a recent travel tourism event and it’s just lovely, with a nice lather derived from coconut milk. 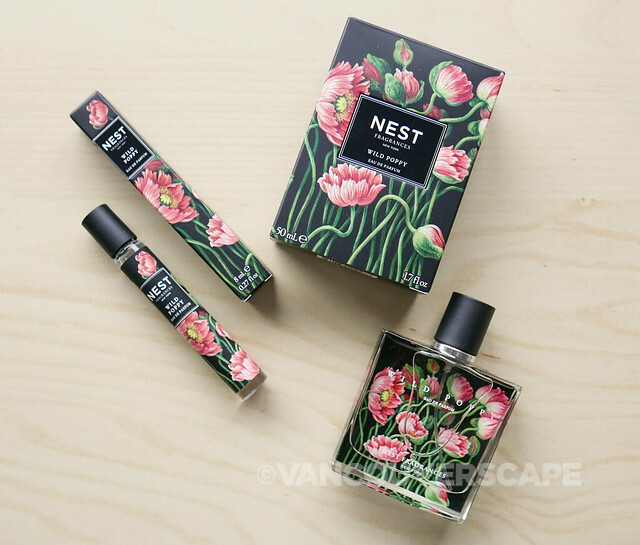 Out of the box, the earthy lavender scent hits your nose immediately. We could easily see a few of these boxed up for a Valentine’s Day gift, especially when paired with one of the brand’s gift sets. 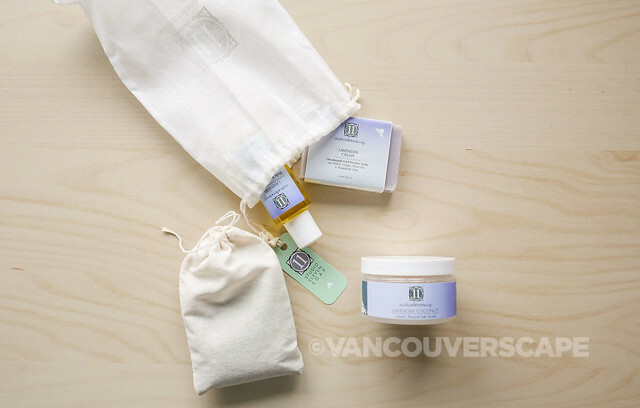 Consider Lavender Love, containing a Lavender Virgin Coconut Salt Scrub, Body & Massage Oil, Lavender Bud Sachet and Cold Cream Process Soap (USD $18). Other products include vegan lip balms, whole herb and clay exfoliating bamboo mask, sugar cane scrub, sea salt soaks, pure essential oils and natural hand + body wash. Visit Studio 11 online and when in Phoenix, at the Public Market. This sweet little gold heart snap coin and credit card case by Love and Lore caught our eye recently on a shopping trip through Indigo. Seems like we’re all looking to slenderize our wallets these days and this cute little Valentine red essential is easy to spot in a purse and can hold three credit cards plus a few coins or bills in its main compartment. The case measures 5” x 4” x 0.75” and made of polyurethane that’s easy to care for with a damp cloth. This gift is literally wallet-friendly too, at CAD $18. Find the Love and Lore vegan collection online at Indigo.